The Uzbek Journal of Legal Studies (UJOLS) is an online e-journal that seeks to publish innovative, original scholarship that makes a significant contribution to the legal studies in Central Asian countries. The UJOLS welcomes features from professors, practitioners, and students of private and public law. 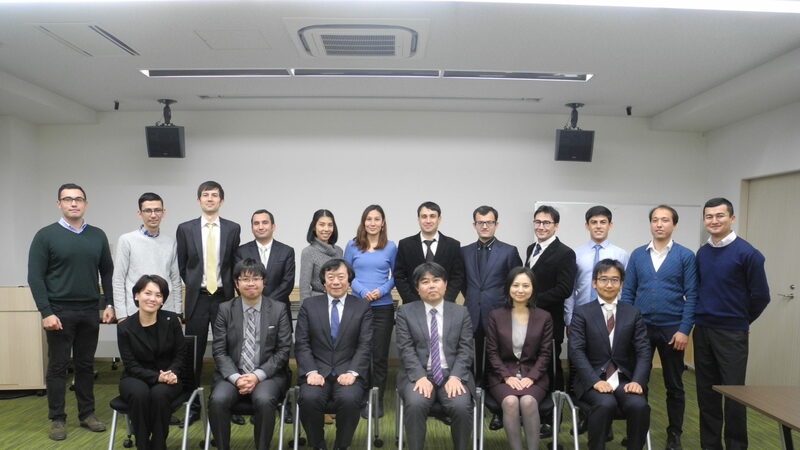 Founded in April 2016 by a group of Uzbek and Japanese law researchers mainly working in Japan, UJOLS is the first law orientated journal primarily focused on Central Asia and published in English and Japanese languages. Through the journal, researchers in the region also have an opportunity to report legal news and judicial practices currently taking place in the region and share their perspectives at international level. In order to publish materials of international conferences, we are also open to publish specific edition in Uzbek and Russian languages. As our journal covers a wide diversity of fields of law, there was a strong need to expand the scope of editors. Notably, our editors are advanced experts of their field of study. We decided to attract foreign experts who are familiar with the legal system of Central Asian countries so that we will be able to raise the quality in analysis of our articles. UJOLS editorial board accepts thoroughly examined articles for publication. The members of editorial board pay special attention to whether the authors of the articles utilized judicial materials of raised issues, and whether there are analyzed discussions or to what extent thoughts and approaches in their articles are original. For this purpose, UJOLS runs a permanent open call for papers, ensuring high quality by means of a thorough selection process with regard to the significance of the topic for the respective academic discourse and having every submission undergo a strict peer-review process. UJOLS also emphasizes the diversity of contributions. In addition to scientific articles, legislation and court practice news, reviews newly published books, transcripts and analyses of court decisions are also published in our journal. Furthermore, the circle of authors is not limited only to professors. Undergraduate and graduate-level students, as well as practitioners are kindly invited and strongly encouraged to submit their advanced articles. Field of law is not an exception in this rapidly developing world of 21st century. With this idea in mind, we do accept articles to publish in advance for those who are willing to publish their work before an expected journal edition. Note that, all of the submitted articles must comply with requirements of our journal. UJOLS supports open access policy to facilitate the exchange of scientific studies. Therefore, every article on our website could be freely read and downloaded free of charge.